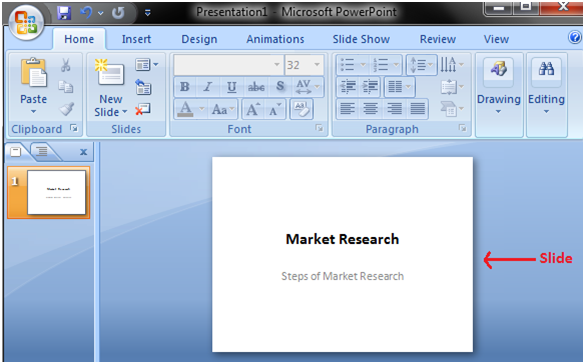 When you open PowerPoint window by default a slide appears. The slide has two placeholders or text boxes. Additional text boxes can be added from the Insert tab. 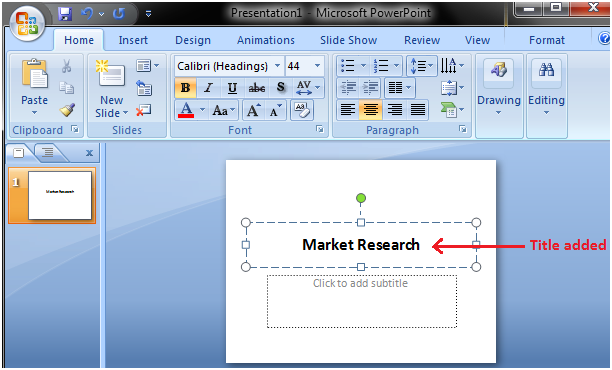 To start creating presentation click on the placeholder or text box a blinking cursor will appear. Then type the title and click outside the box. The text box will disappear. 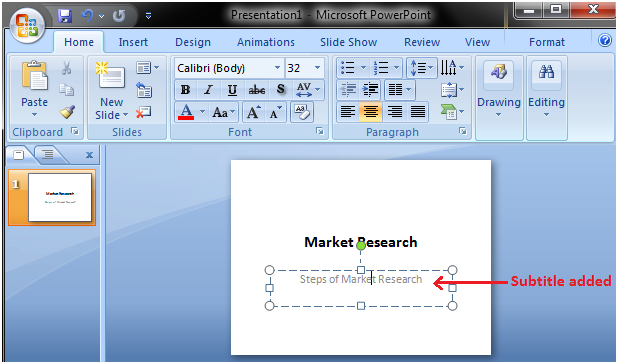 In a similar way, add text or subtitle to the other text box.